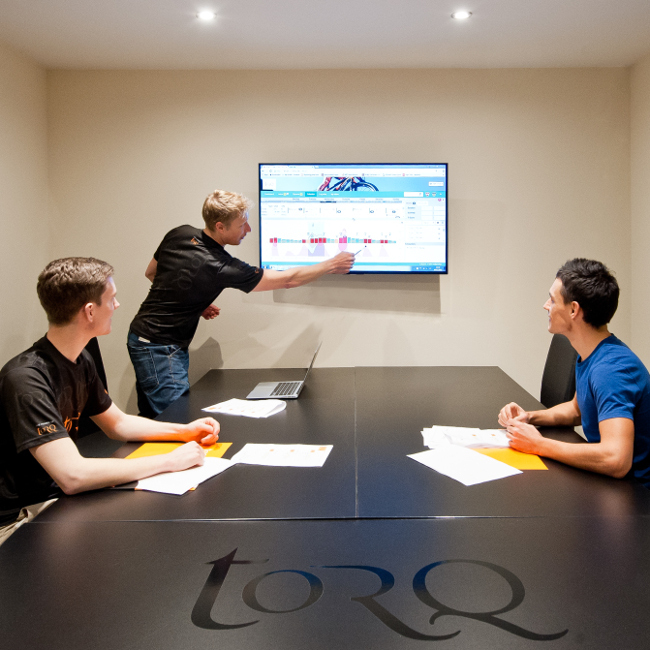 Although perhaps better-known for our cutting-edge Performance Nutrition products, did you know that TORQ has been a cutting-edge Fitness Consultancy since 1999 and one of the reasons we originally called ourselves TORQ was because successful coaching and consultancy requires extemporary communication. This involves a lot of talking, or as we tend to call it ‘TORQing’. Another reason we called ourselves TORQ is because every single human movement comes about as a result of a torque or combination of torques (torque is the name for a rotational force) at the various joints within the body. The direction of travel might be straight in a particular sport, but behind that movement is always from a whole series of rotations. Of course, our obsession with the sport of cycling might have had something to do with it too – there’s a lot of rotation going on there! If it wasn’t for our deep passion and determination to get every ounce of performance out of the human body, we would never have been motivated to produce the finest, most research-supported and nutritionally pure performance nutrition in the world, so it was definitely a good place to start.